It was an effort to cycle up the hill in the heat of the Indian sun but I knew the reward at the top would be worth it. 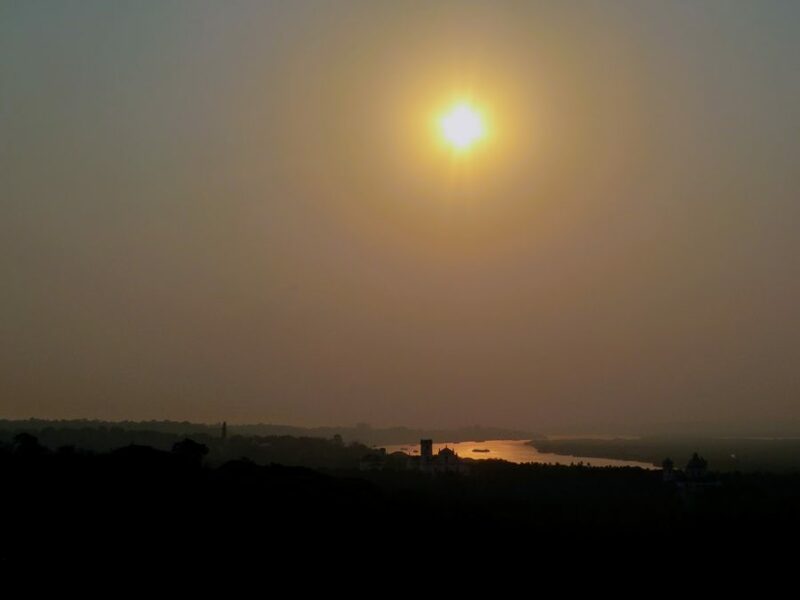 Watching the sun go down always is worth an effort, but watching the sun go down over the view of Goa from Chapel of Nossa Senhora de Monte, incredible. 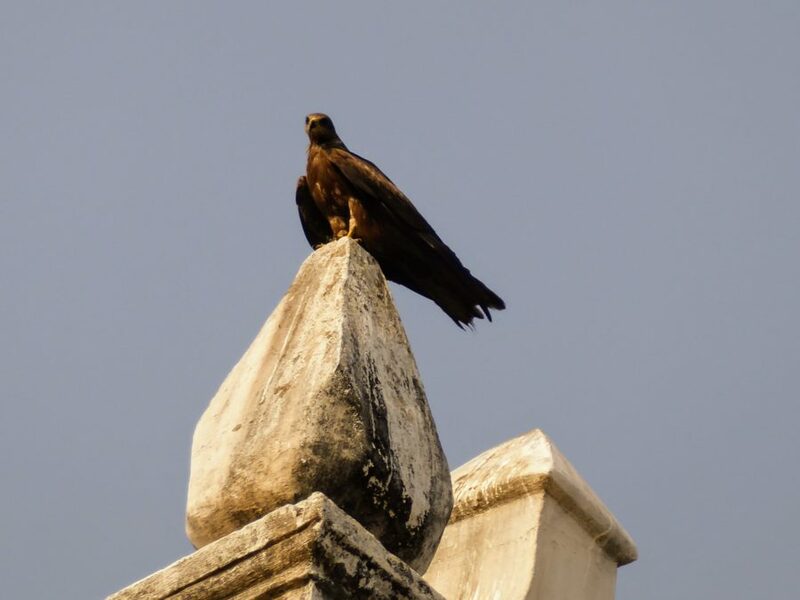 These are just a few of the highlights during my Cycle Tour of Old Goa. Now it may sound like I am on a very tough tour, but to be honest, this is the only strenuous part of the cycle tour by Adventure Breaks. It is a quiet road and a pleasant walk up if you are unable to cycle it. This trip from Panjim to Old Goa , once India’s second largest city is extremely relaxing. With my guide knowing so much about the history of this area, I visited and learnt so much. Not only did I see additional things in the Cycle Tour of Old Goa, which my unknowing eyes would have missed like the different paintings on the church walls, some on the cloth from the ships’ sails and others on wooden planks but also I learnt a little more about the Portuguese rule and the impact on the area from this. In addition to all the history, I also got to see some of the local wildlife as we cycled across the Linhares Bridge and Causeway which was built in 1633. Surrounded by the wetlands, it is home to so many different species of birds, of which my guide could identify all that we saw. 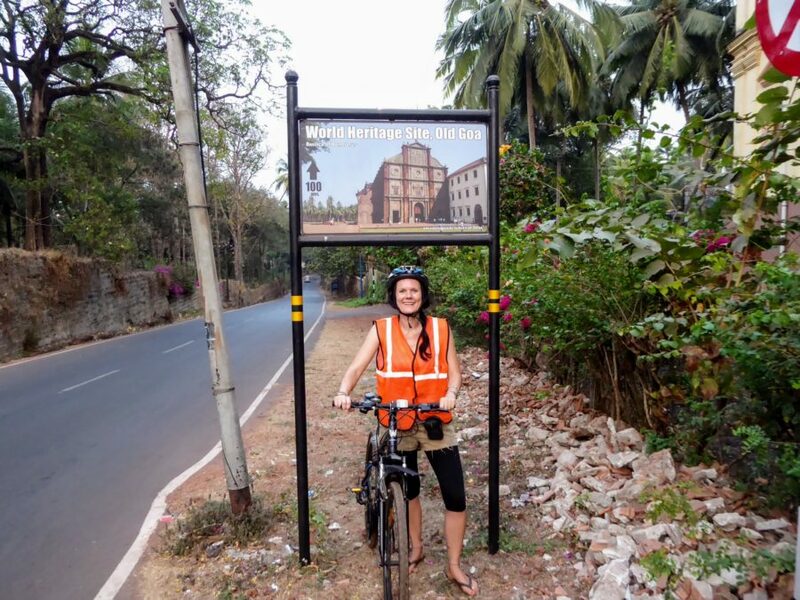 The Cycle Tour of Old Goa wasn’t just a sightseeing tour, it was one with a difference. The combination of cycling and the sightseeing made it a lot more enjoyable to me. 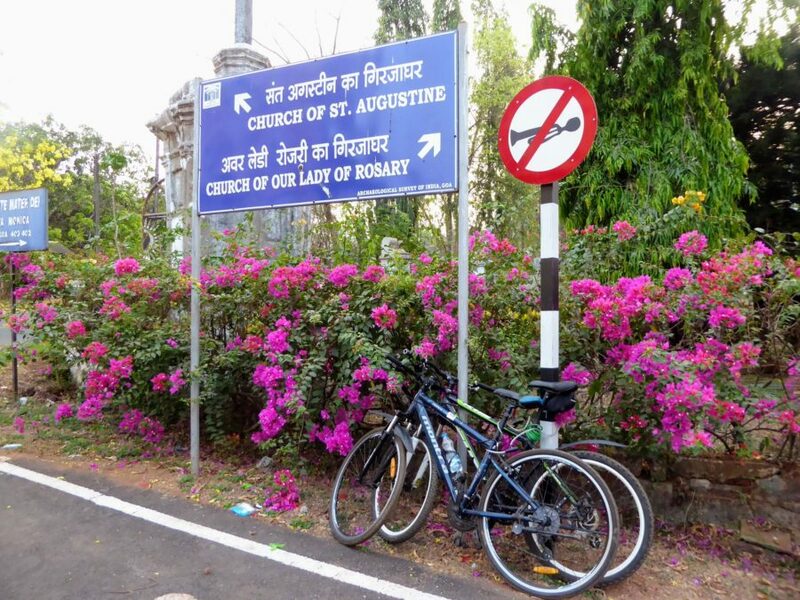 The Cycle Tour of Old Goa was a great way to explore the area, rather than getting transported between the sights. I would really recommend it as a trip especially with Adventure Breaks who provides quality bikes and safety equipment. Heading to Goa? Check out my female safety guide. 1/ The Cycle Tour of Old Goa with Adventure Breaks costs ₹1,870.00 and takes approx 3 hours running between 15:30 to 19:00 hrs. Each tour can take from one to six cyclists. 2/ The tour includes the use of 21-speed geared hybrid/mountain bicycle, a helmet, a visibility vest, mineral water and a guide. 3/ They recommend you take a camera, sun lotion and sunglasses. Recommended clothing is a tee shirt and shorts OR long-sleeved shirt and long track pants if you get easily sunburned and trainers/sneaker for shoes. 4/ You need to be of an okay fitness level to carry out this tour however you will not be cycling for more than 3 hours. The longest distance cycled is from the start point to Old Goa and back again. If your fitness levels is partially poor then inform Adventure Breaks and they will arrange the starting point to be within Old Goa itself. 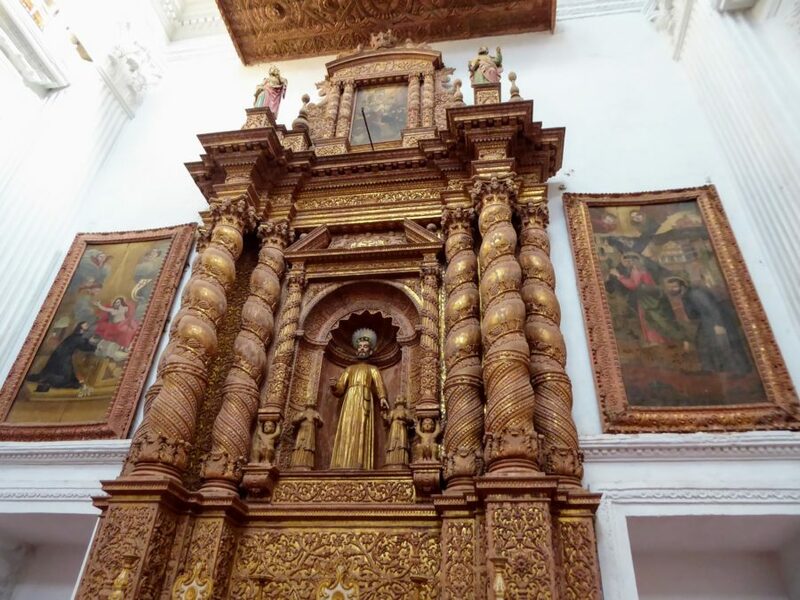 You need to have the fitness to at least walk up the hill to Chapel of Nossa Senhora de Monte which is the only strenuous part of the tour. 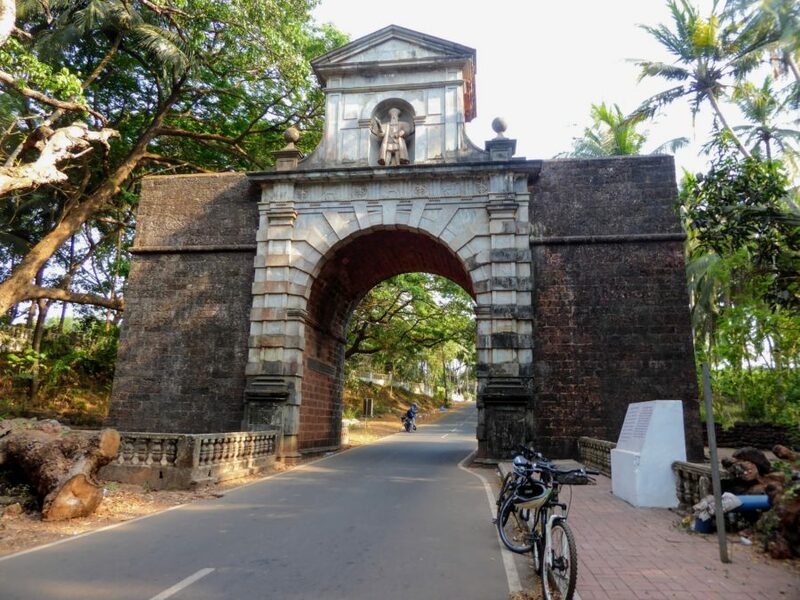 Do you think the Cycle Tour of Old Goa is a great idea? Have you ever been on a trip like this? Please comment below. Don’t forget to subscribe (It’s free!) to my blog for more posts like this and interesting travel tips. Disclaimer: I was hosted kindly by Adventure Breaks on this tour but as always my opinions are my own. 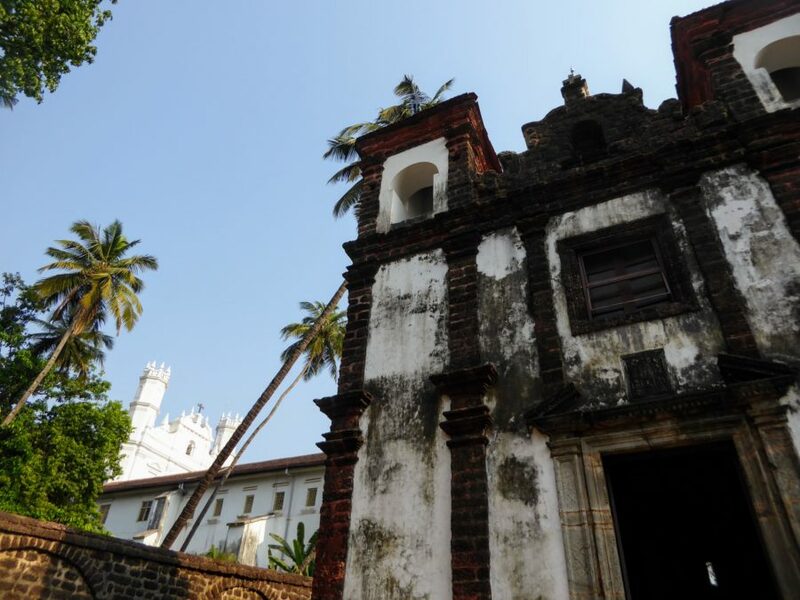 I studied in Goa, and my campus was just a couple of kilometers from Old Goa, housed in a 16th century Portugese ex-hospital by the banks of the river. I’ve been to all these places and your post evoked a sense of nostalgia in me. You can also visit the nearby ruins of St.Augustine’s monastery along with the places you have mentioned. Careful though, it is reputed to be haunted! I would love to cycle around old Goa! This is a very motivational post!